SS Martha is a rusty old coaster. 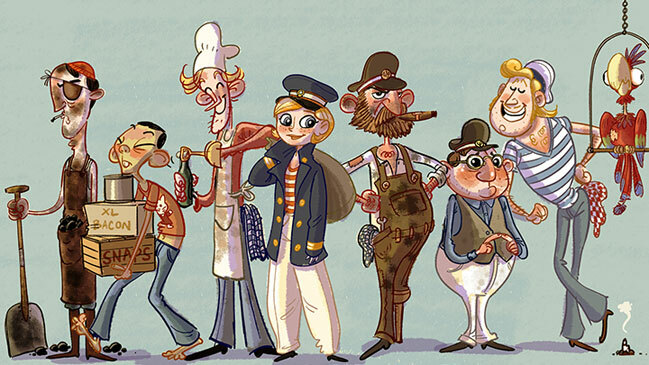 Her motley crew has been sailing carelessly around the Mediterranean avoiding work since 1967. But new times are dawning, when SS Martha gets a new graduate female captain who stands to inherit the owning shipping company if she can defeat her supertanker-sailing brothers in a winner takes all shipping adventure around Africa. SS Martha is a shipping tale where the good ol’ days of beer and oilcans meet capitalism, efficiency and other modern human emotions.